A visit to the Louisa Arts Center in my hometown of Louisa, Virginia. I finally visited the Louisa Arts Center today in my hometown of Louisa, Virginia. An amazing exhibition of elementary students artwork was on display in the Purcell Gallery. 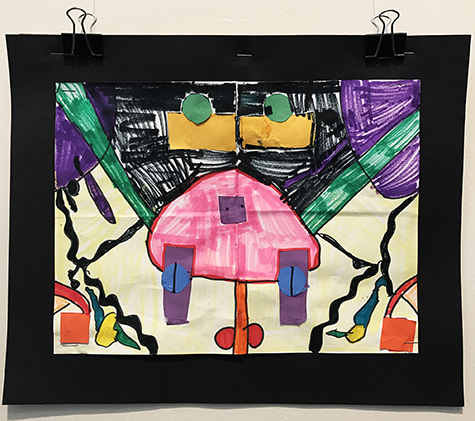 Featured here is “Symmetry Shapes” by Lexus Crook, a second grader at Thomas Jefferson Elementary. Such a meaningful day strolling the streets of Louisa, taking in local art, & reconnecting to so many memories. So proud of this little VA town & excited for projects with so many talented folks here. The Louisa Arts Center is located at 212 Fredericksburg Avenue Louisa, Virginia 23093 louisaarts.org #hometown #louisa #virginia #kids #art #symmetry #create — at Louisa Arts Center.